Established in 1958, Anadolu University is one of the pre-eminent innovative universities in Turkey. Yunusemre Campus, the main campus, is situated in the center of Eskişehir, a city known as a scientific and cultural center. 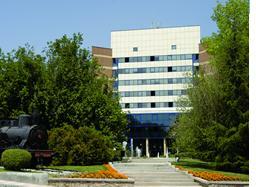 Some of the faculties and vocational schools, social facilities, and administrative units are located on this campus. Civic engagement and service to the community are key components of the University’s mission. The Rector of the University, Prof. Dr. Fevzi Sürmeli has stated, “The qualified and experienced academic staff, devoted administrative staff and all students at Anadolu University strive to improve prosperity and life quality not only in Turkey but also throughout the world by producing, disseminating and making use of knowledge in the light of Ataturk’s principles.” There are several student organizations committed to community engagement, including the Community Volunteers Club and the Contemporary Education Club. Another pillar of civic engagement is the “Community Service Practices” course at both on and off campus undergraduate programs of Anadolu University. This 3 credit course motivates students for community service such as visits to retirement and nursing homes, joint projects with public libraries, arts classes for mentally retarded children, webdesign and technical support to secondary schools, computer classes for adults, and many other projects. At 2008-2009 Fall Semester, 1509 civic engagement activities have been finalized in the framework of this course. Lifelong Learning is a priority of Anadolu University. Two examples are the Yunusemre Newage Learning, which is an open courseware portal, and e-Certificate programs. The purpose of Yunusemre is to disseminate the contents of distance courses so that anyone can access the learning materials of distance courses via this platform without any charge. e-Certificate programs are designed for those who would like to improve their job related skills, holding at least high school diploma.